I don’t often snack after my workout, due to the time I’m able to go to the gym. I usually go after breakfast or before dinner. So I have lots of water because I perspire a great deal. Ten minutes into my work out and I’m wet. When I’m able to, I treat myself to coconut water after my workout. However, on the occasion when my routine has been altered or dinner is running late, I go for light snacks. Every calorie is important to me because I’m on a calorie counting diet to lose weight. 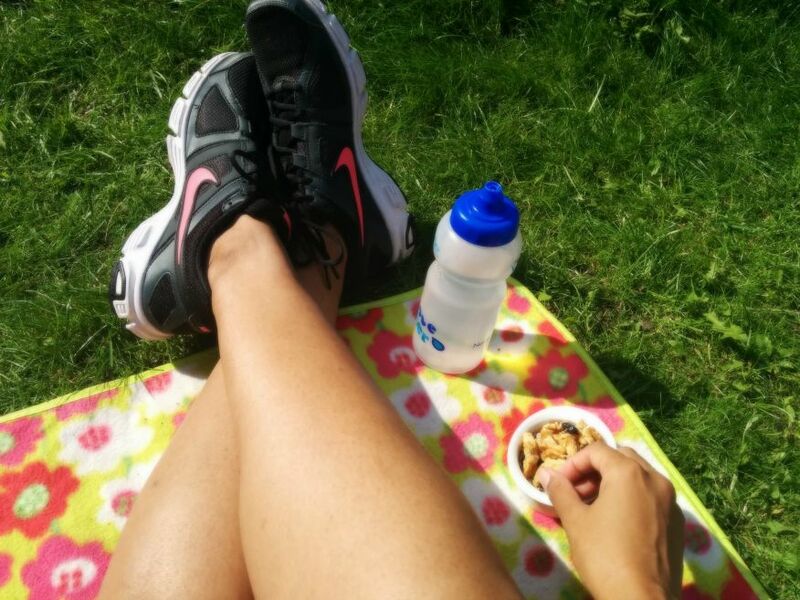 I’ve had my eyes peeled on social media to see what other blogger and keep fit enthusiasts have for their snacks. I also spoke to my fitness instructors at my local gym and I came developed my list of top five post work out snacks. Oranges- good glycogen-replenishing carbs to help you recover faster and due to the fibre it will fills you up. Banana- good for quicker recovery and the potassium is a key mineral is muscular emery. After an intense workout your potassium store will have been depleted so top them up. Ryvita crisp bread & Peanut Butter- I find this combo quite filling and peanut butter is source of protein, unsaturated fats, and vitamin E.
Nuts- I’m a nuts-lover but as an after workout snack I opt for unsalted and unsweetened ones. Cashew and Hazelnuts are great choice but in general nuts pack a high in protein and healthy fats. A small handful is advisable, portion controls is key. Greek Yogurt with muesli- I like muesli that has raisins and nuts for sweetness and crunch. The yogurt has a good dose of protein and a small amount of fat, while the fruit provides a boost of carbohydrates, vitamins and fibre. You can find nuts, dried fruit and other healthy snack options at Nuts.com. Check out their website to find out what healthy treats they have in store. What do you snack on after your workout? Leave a comment below to share you healthy snack tips.